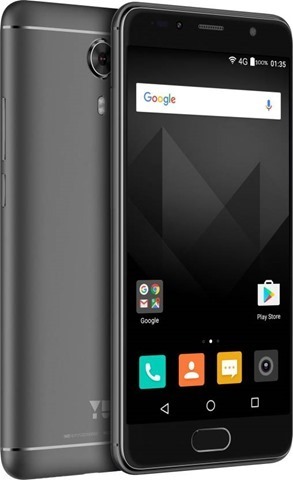 Mciromax's subsidiary, YU, has launched the Yu Yureka Black in India. The device sports a metal unibody design with 2.5Dglass, and will be available in Matte Black and Chrome Black colours. The Yureka Black sports a 5.0-inch 1080p Full HD display with Corning Gorilla Glass 3, and runs on Android 6.0 Marshmallow. The device is powered by a Qualcomm Snapdragon 430 octa-core processor clocked at 1.4 GHz, with 4GB of RAM, and an Adreno 505 GPU clocked at 450 MHz. The phone has 32GB of storage and supports up to 64GB of expandable memory, via a microSD card slot as part of the Hybrid SIM tray. The Yureka Black features a Sony IMX 258 lens for the 13 megapixel rear camera, with Auto Focus, Super Pixel, 4x zoom, Multi Shot, Night Mode. The selfie lens is an 8 megapixel front camera from Samsung, which has its own LED Flash. The phone packs a 3000 mAh battery, and has a front placed fingerprint sensor which has an unlock speed of 0.2 seconds, and a 360-degree acceptance angle. The Yureka Black has beenm priced at Rs.8,999 and will be available exclusively via Flipkart from midnight, June 6th. Yu Yureka Black launched in India. Here are its tech specs and price.